Think of the last time you stayed up until you heard the birds singing. It might be because you had an epic night out. But the chances are higher that it was because you were working round the clock to meet a deadline. You start off meeting Accounting and Law deadlines in university. When you’re running your own company, those deadlines don’t disappear, they just morph. Nowadays you’re staying up completing client presentations or working on reports. And in addition to that, every few months you have accounting requirements that loom over your head like a dark storm cloud. At times like this, look for extra hands to lighten your burden. Your company can contract a short term accountant to meet your financial deadlines and help you focus on your core business activities. Calendarise important dates upfront. When your short term accountant is dealing with a complicated project such as overseeing your company’s annual financial results, there are several small deadlines to meet along the way. Put each date down on a calendar (use project management software, outlook, or a piece of paper on the wall, according to which one you are most likely to pay attention to! ), and implement accountability. Agree on an outcome. Sit down with your short term accountant upfront, and discuss what the expected outcome is for each date that you’ve diarised. In your conversation, clarify deliverables and requirements for each step. As you increase accountability, empower your short term accountant to get extra hands on board as needed, and clarify deliverables along the way, you and your accountant will be able to easily handle those financial ‘storm clouds’ as they appear. Contact The Finance Team to meet someone who can assist you and cue the sunshine after the storm. The 9 November 2016 will go down in history as a day that sent shock waves rippling through the world. 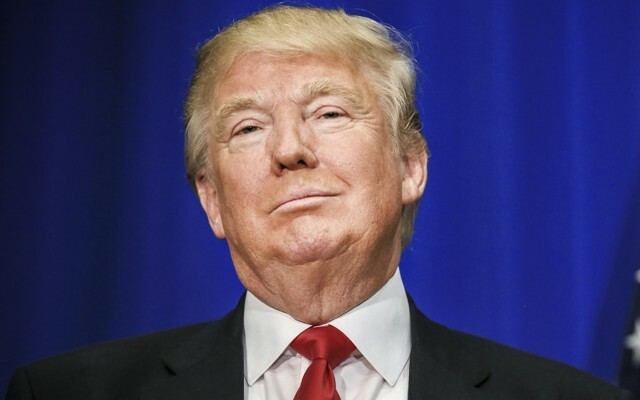 Most South Africans went to bed expecting to see a Democratic victory in the United States the next day; they woke up to discover that Donald Trump – the Republican nominee — had been elected President. It was one of those moments that got many of us thinking: How did the entire world – including the USA itself – manage to call the outcome of this election so wrong? How did the choices made by the people themselves manage to blindside the very electorate who made them? It was possibly the shock more than anything else that had much of the world walking around in various states of disbelief and depression on Wednesday, with some referring to the mood as the ‘Trump Slump’. If we had known what was coming, we could have better prepared ourselves for the news. Have you ever been hit by a ‘Trump Slump’ in your business? Its causal factors are very similar. It happens when your company hasn’t planned or anticipated a change. The most severe ‘Trump Slumps’ hit your working capital. And then your company’s ability for output wanes, you aren’t able to meet your obligations, and the real stress ensues. Factor in a minimum inventory level to eliminate stock-outs. Know your profit margin by stock item. It’s useful for your outsourced financial director to tell you what your company’s overall profit margins are. It’s even more useful for him or her to be able to detail which stock items are producing what level of profit. Take this one step further and regularly review your stock items, Arthur recommends. Use this process to determine slow turning, low profit items – and then eliminate them. Give your customers a 30-day heads-up before you increase prices. Your aim in upping your prices is to increase your cash flow or profits, correct? But if your customers are blindsided (there’s that word again) by a fee increase, chances are they won’t be able to meet it immediately or may oppose it on principle. So give them sufficient warning to gear up for the impending change. Avoiding the ‘Trump Slump’ in your working capital involves insightful planning, careful inventory management and overseeing good relationships with your debtors and creditors. If you could do with some assistance in these areas, contact The Finance Team. We will help you identify an outsourced financial director who will give your company exactly the help it requires. 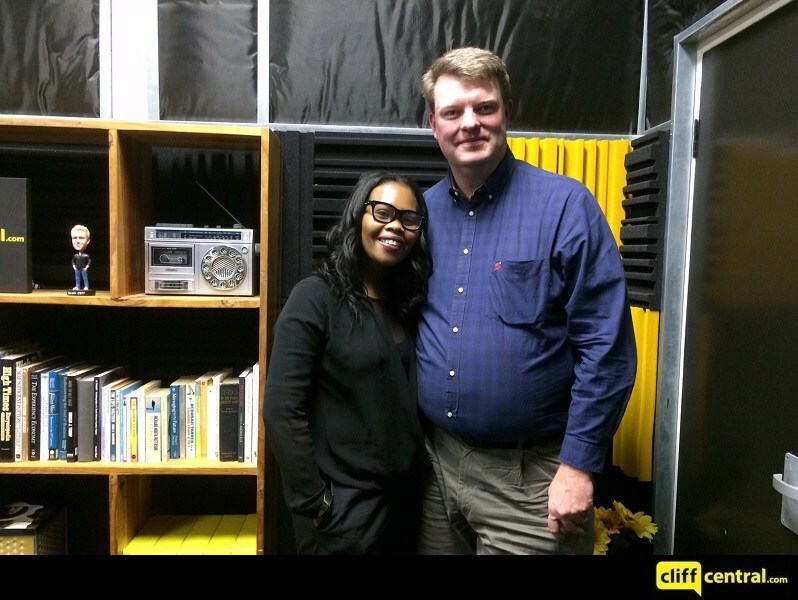 Richard Angus & the team speaks with USB-ED lecturer, Pelisa Manqoyi about protecting your privacy and data as an essential element of any business. They then speak to CEO and founder of Ask Afrika, Andrea Gevers, about her 21-year journey in the research marketing world. Spring is officially in the air! All the signs are here: green shoots, the smell of jasmine and birds carrying out their annual nesting ritual. The sound of the first spring rains has been music to our ears. Countries throughout the world celebrate ‘Spring Day’ on different days of the year: in South Africa, that day falls on 1 September. At this time of year, we’re looking for a new start in our businesses too. As we approach the end of the year, we’re wanting to revitalise our processes and ignite the company with energy. If you’re looking for a way to do that a contract accountant could be your answer. Revitalize your accounting processes. If you feel like your business needs to sharpen up its accounting efficiencies but you aren’t quite sure how, a contract accountant is your person. He or she is a fresh pair of eyes with a wealth of experience. Whereas you are mired in the ‘way of things’ because you’ve either started the company or been there for years, your contract accountant has seen many examples of processes and systems, and will more easily be able to scrutinize things from arms’ length and suggest changes. And they don’t have to mean a total systems overhaul. Get cash flowing into your company more quickly. What better way to put a smile on everyone’s face than to get money moving more quickly into the business? Your contract accountant can spend some time looking at your working capital and working out simple ways to shorten the lead time between invoicing and payment. It could mean something as simple as determining a quicker way to issue and follow up on invoices. Or it could mean negotiating different payment terms with your bigger customers. Whatever it is, they’ll figure it out. And the proof will be the cash moving more swiftly into your bank account. Help sharpen your vision for the year ahead. You’ve got about six weeks before everybody starts winding down for the summer holidays. Use this time to start planning effectively for the upcoming year. Your contract accountant can help you look over this last year’s finances and recognise good and bad business decisions. He or she can also help you identify the influence of external factors over the past 12 months, and help you predict the economic environment for the upcoming year. GDP growth is predicted to liven up a little next year, and last quarter’s 3.3% growth is a good sign. At the same time, there will be headwinds to watch out for. Your contract accountant can help you identify opportunities and barriers, and help you plot your progress within them. If your business could do with some fresh financial insight, growth or direction, contact The Finance Team. We’ll help you identify a contract accountant well-suited to the needs of your business. He or she can spend the time at your business that you need, and no more. You’ll step into summer with a flourish. NASTASSIA ARENDSE: The Finance Team provides flexible financial and executive solutions to companies needing additional help at peak times or at key points in a company’s development, with no long-term commitment or labour legislation hassles. 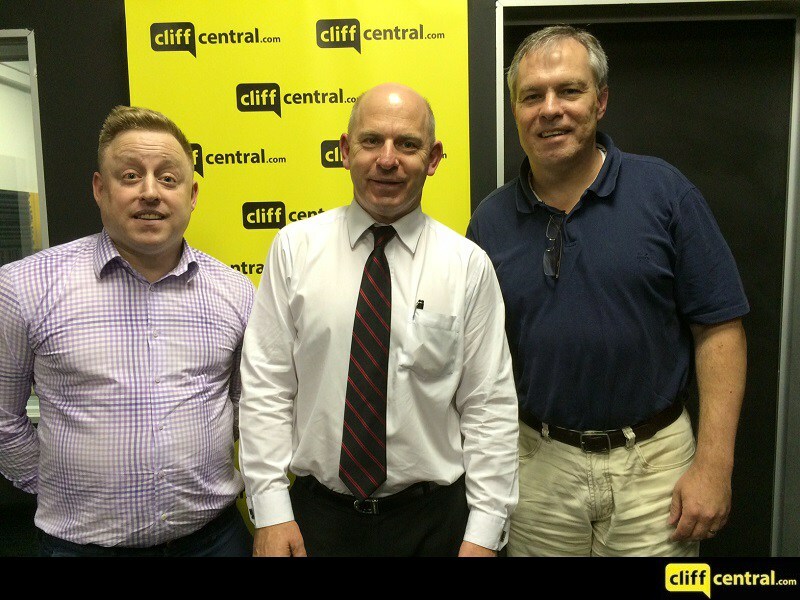 Grant Robson, the managing director, and Richard Angus, the CEO of The Finance Team, join me in studio. Gentleman, thank you so much for your time and welcome. Let’s start off with The Finance Team, how did it all start? 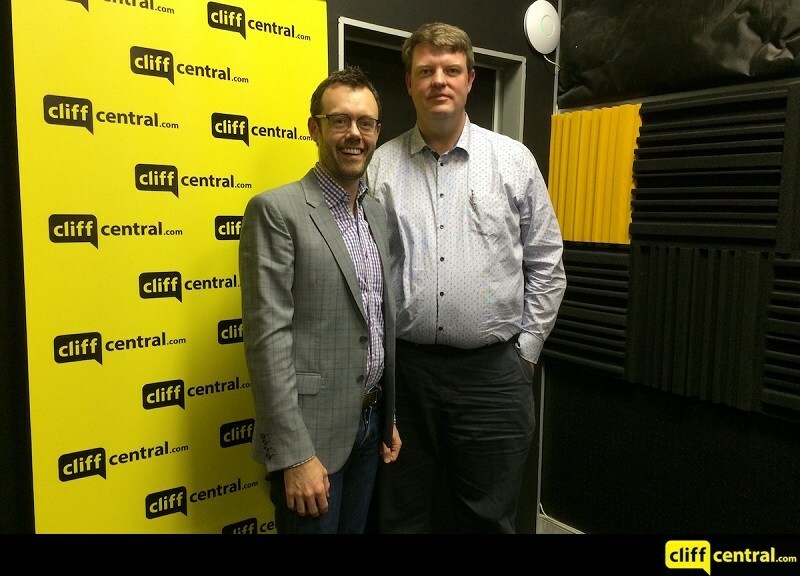 RICHARD ANGUS: Well, basically we recognised the need for part-time support for businesses in South Africa. 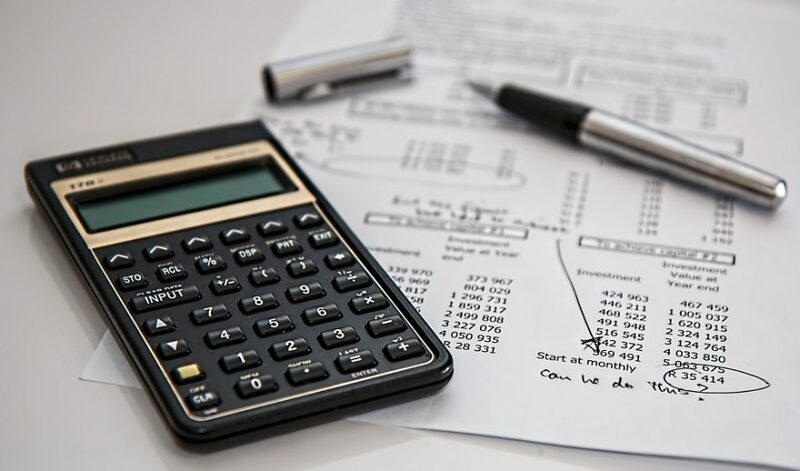 Businesses need that experienced financial management skillset but often they don’t need that on a full-time basis and they could actually do without the cost of having a full-time resource. So it’s very important to understand that we’re not a recruitment company, we are a consultancy that provides support to businesses for the time that they need and no longer. NASTASSIA ARENDSE: So what I want to understand is, so you came up with this idea and then how did you decide then that Grant’s synergies and your synergies work together and this is the perfect team to be able to execute something like this? GRANT ROBSON: Number one, both of us are qualified chartered accountants and we’ve been in a large corporate and smaller environments as well, and at some point in time we have also been very involved in the recruitment of financial executives. So it became very clear that the run-of-the-mill recruitment model wasn’t going to be that effective going forward and, hence, this is where we came in. NASTASSIA ARENDSE: So it’s the two of you and then in terms of the team, how do you get the consultants to provide the service to clients. RICHARD ANGUS: Importantly, we have a team who works with us on an exclusive basis, so they don’t work anywhere else, they are The Finance Team. We refer to them as our associates because they’re professionals and they want to be treated as professionals and it’s kind of the Ying Yang; we provide a brand and a marketing capability to find opportunities to support businesses out there, our associates are the experienced financial executives who actually deliver the work, and the two work together. So the key thing for us is finding people who have got experience, so we don’t want people to be learning on our clients, they must be able to add value from day one, it’s a very important component, and they are people who want to join us and are part of the finance team on an ongoing basis. So we don’t provide somebody with that let’s call it a temporary job, in between two permanent jobs, we’re about having a team of flexible people who can work over a period of time with our clients and we want to be in a position where if a client comes back to us in a year’s time and says is Mr X or Mrs Y available to us, they are part of our permanent team. NASTASSIA ARENDSE: Is this is a first of its kind in South Africa or are there others, are you competing with other people? GRANT ROBSON: We started a similar business at an internationally branded company here in South Africa in 2010, so this is now our seventh year of doing this. We broke away from that business about three and a half years ago to start The Finance Team. We don’t just specialise in financial directors, we also look at financial managers, so yes there are other competitors out there, but I think we do things slightly differently and I think we are the market leader in South Africa right now in terms of this high level financial executive skill. NASTASSIA ARENDSE: Yes, I was going to ask you how you ensure that you stand out against all the other people who are offering something similar like that? RICHARD ANGUS: One of the key things is being able to focus on the niche that we are in. If you look around you’ll see that there are other people out there who could provide you with a financial person or a financial executive, however, they also do this, they do tax work, they do audits, they do a whole host of things. We’ve specialised and focused on the provision of those part-time and interim solutions for our client base, we don’t get into any of the other, let’s call it peripheral, activities. We make sure that we have a network of tried and tested partners that we work with, so if, for example, you are looking for audit work, we have a few audit firms that we have worked with and are comfortable to refer you to as a potential client but we don’t get into that space. By staying focused and staying in our niche we can ensure that we deliver what we promise. GRANT ROBSON: I think also just to add to that, very importantly it’s the calibre of people who come on board, that really is the business, without good people our brand goes nowhere. So we are very, very particular about the level of expertise that our people possess who come on board, their experience, as Richard mentioned earlier, is critical. So nobody on our team has had less than 20 years’ experience and that’s really what…you’re looking at a business owner or a financial director in a company or a CEO, they are not that interested in a CA, MBA, doctorates, at the end of the it’s can you hit the ground running, can you add value to my company and that’s what we can provide into the market. NASTASSIA ARENDSE: In terms of the sectors, if I’m listening and I own a medium to large business and I’m looking for a service like this, do you provide a financial director or a financial manager across all sectors, whether I’m operating in the mining sector or oil or whatever the case may be? RICHARD ANGUS: Lots of people ask about industry expertise, obviously there are a number of issues in a business that are, let’s call them industry specific, however, fundamentally many of the issues that companies face are generic issues. If you were to say to me, for example, what are the two or three things that go wrong in a business, it’s always cash flow, it’s always controls, it’s always reporting. Now none of those three things are industry specific. So people who work within an environment need to know and understand the industry but the complexities do not come in at an industry level to a large extent and where there is industry knowledge needed it’s actually pretty easy to get a handle on it quite quickly. There are some industries that have significant nuances, for example financial services with banking and insurance and so on, where there are a number of acts and compliance issues that you need to be aware of. But generally you can have a look across industries and traditionally people, for example, have had broad range experiences across a number of different industries anyway, when you talk about 20 years’ of experience, people have got experience in that space. GRANT ROBSON: If I can just add to that, we’ve got to be careful here when we talk about recruitment companies, I think there are some really excellent recruiters out there and executive head hunters but a lot of smaller recruitment companies, where they get things very wrong is they send a non-professional into an environment to get a brief. So they are sitting in front of a financial director or a CEO of a company and they don’t really understand the requirement up front, so right from the beginning you’ve got a problem in terms of the match of the required skill to go forward. Richard and I, as the owners of the company, we go into the client as CAs, financial managers and directors in the past, so we’ve got a very good idea of exactly what has gone wrong and what the requirement will be going forward. Probably even more importantly, we know our people very well, we try to retain that critical skill and the better we know our people, the easier it is for us to provide a solution. That’s why when Richard mentioned earlier about people looking for temporary jobs in between two full-time jobs, that’s really not the kind of associate that we would be looking for. We would want to look for somebody who is either semi-retired and can provide us with three full days a week or maybe five half days a week and are doing it for all the right reasons. We’ve got a lot of married individuals, who are not primary breadwinners, who can give us half days, which is really fantastic, and those are the kinds of associates that we look for because we know that we can retain them. The more we can retain them, the better we can utilise that skill and provide solution to our clients. NASTASSIA ARENDSE: So what’s the first step, someone calls in, tells you what they need or is it a situation where they have to meet the two of you, you come in and have a look at what’s going on, keep up to date with what’s been happening in the business perhaps over the past year or so, and then go back to the office and try to see who would be best matched, how does it work? RICHARD ANGUS: Okay, so when people phone you they’ve got a challenge, a concern that they’ve got, they may not even be able to identify what the real issue is, they just know there is pain, there is something that is not working for them. Sometimes they’ve been able to identify the exact issue and they can put their finger on it, most times they can’t. Their gut feel tells them there’s an issue in my business and I need to do something and I need help from somebody. In that sort of interaction it’s pretty difficult to do that telephonically because you’re probing and you can’t really gauge easily, so often it’s a case of Grant or I or one of the team would go out and meet with the person concerned. My experience is that generally within 15 to 20 minutes of spending time with somebody with their business you get a feel for (A) what’s going on in their business from a culture perspective, what their challenges are, you just let them talk and tell you what’s going on and very quickly you start getting a picture. You can then start asking some really probing questions. 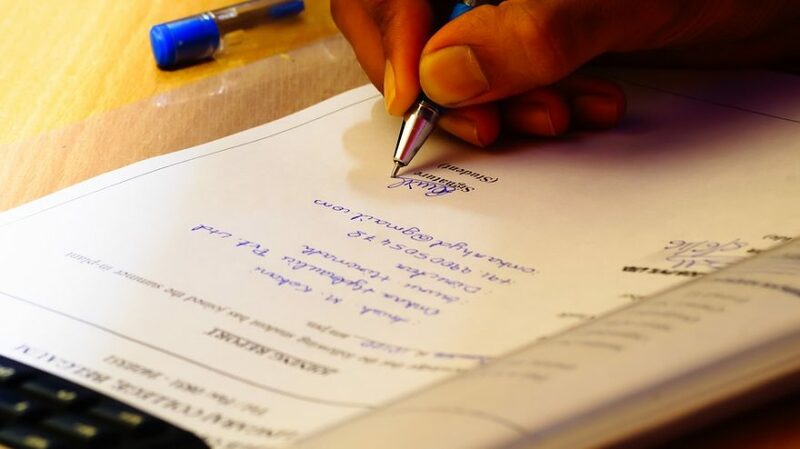 The reality is having run companies, having run large corporates and so on, we’re able to identify the issues out there and, as I said to you earlier, the things are often unfortunately not new and the things that go wrong, often you could literally make a list, okay, has this happened? As you go and you ask those questions it’s a tick that that’s happened and then okay, then that would have happened, and you can very quickly see where the cause and effect runs. Often it’s the most basic of things that have gone wrong and then there’s a whole lot of, let’s call it, carry-forward effect that you have and then at that point we can say, okay, this is the type of individual we need to put in place. In our business, and I’m a firm believer, that 40% of what we do is actually about technical skill, 60% is about getting the right fit with the entrepreneur, the businessperson, whoever it may be. If you don’t get the fit right, what happens is it becomes a bit of a non-connected relationship and it’s only a very connected comfortable relationship when people trust our associate and trust their finance person, where the conversations flow and the real issues surface. You don’t know the real issue in a business from an email conversation, you figure it out from that five or ten-minute conversation that happens at five to eight when the entrepreneur comes in and says I was lying awake all night thinking about X and the finance persons says, “okay, I didn’t know about that or that wasn’t so obvious or that has an implication somewhere else”. If those, let me call them the coffee corner conversations, aren’t happening because the level of trust isn’t at the right level, this isn’t going to be a successful support system. We are there ultimately to support the entrepreneur, the business people, the guys who are running the company, we’re not there to just fill a seat. GRANT ROBSON: Just to add to that, in terms of the service offering, we call it a part-time or interim solution, and I would say the part-time solution is really more suited to the owner-managed small entrepreneur, who’s got a team of bookkeepers or has an accountant but needs to go to the next level from a financial point of view but doesn’t have the finances to afford somebody on a full-time basis at that level or just doesn’t have the workflow to justify that. So we can provide somebody on a part-time basis to come in there and look after that more strategic high level financial input that you would require and that’s what we would call your more part-time offering. So you are the part-time financial manager, the part-time financial director of the company, that’s the title, you are there as an FD, you are just not there five days a week. we are providing a pool of permanent professionals that these corporates can dip into. Also something else that Richard was talking about when it comes to different skills in the different industries, there are 30 of us professionals involved in the company right now and we’ve had a range of different skills, so we often find that we have a client who needs a specialised skill, we can bring somebody in from our team and plug them into that client. So for us it’s a really important thing, it’s really more about providing a solution and not just providing a warm body, which is really the kind of mindset that most recruitment companies have got out there. NASTASSIA ARENDSE: You just had me thinking of start-ups and entrepreneurs and I must ask you, do you guys remember the early days of your business, when The Finance Team was coming together? GRANT ROBSON: Oh, yes, very well, I think we still have a couple of nightmares about that [laughing]. NASTASSIA ARENDSE: [Laughing] Please take me through one of them. GRANT ROBSON: I think it’s like any entrepreneur out there, they say entrepreneurs are born, in my opinion I don’t know so much, I think you have to have certain skills that make you a good entrepreneur. If you go and ask entrepreneurs out there, probably eight out of ten will say I’m an entrepreneur because I had to become an entrepreneur because it is, it’s very, very scary and there are a lot of people out there who for whatever reason, previously disadvantaged, couldn’t get the education that we saw just now, don’t have access to good advice, don’t have access to the internet, accountants, lawyers and they can’t actually become entrepreneurs. That’s why we’ve been on a couple of shows talking about these incubator funds and how important they are for South Africa in the future. But going back to us as entrepreneurs, the first six months, 12 months is a scary thing, where’s the next rand going to come from? The costs, how do we bring these costs down, how do we limit the costs until we get to a stage where we can start marketing more to bring in more leads to bring on more associates. It’s that kind of chicken before the egg situation. RICHARD ANGUS: I think for me one of the scary things about being an entrepreneur – and many people go through this stage – they’ve got a corporate life and a paycheque arrives on the twenty-fifth of the month, and suddenly that safety net isn’t there anymore, and you’ve got to work through all the issues in your business and every single decision has an impact on the bottom line and an impact on your cash flow. I think sometimes when you’re not in that entrepreneurial mindset you often become blasé. I worked for a large financial institution, the reality was we worked with numbers where there were six zeros behind every single number. Now all of a sudden you are watching every single rand. If somebody doesn’t pay you it’s your cash flow at the end of the month, if somebody pays you late, you’ve got to make a payment before you get paid, these types of things suddenly become very real for you as an entrepreneur that perhaps when you’re an employee you just don’t even think about. GRANT ROBSON: I think it’s probably the only thing that you do miss, once you’ve got over that initial shock stage and things do start working out, the only thing you miss is that monthly paycheque. But then again that monthly paycheque is limited to a certain amount every month. As an entrepreneur the bigger you get, the bigger the paycheque potentially can get. So for anyone out there who is thinking about it, don’t worry, go for it, don’t think twice about it, give it a shot. 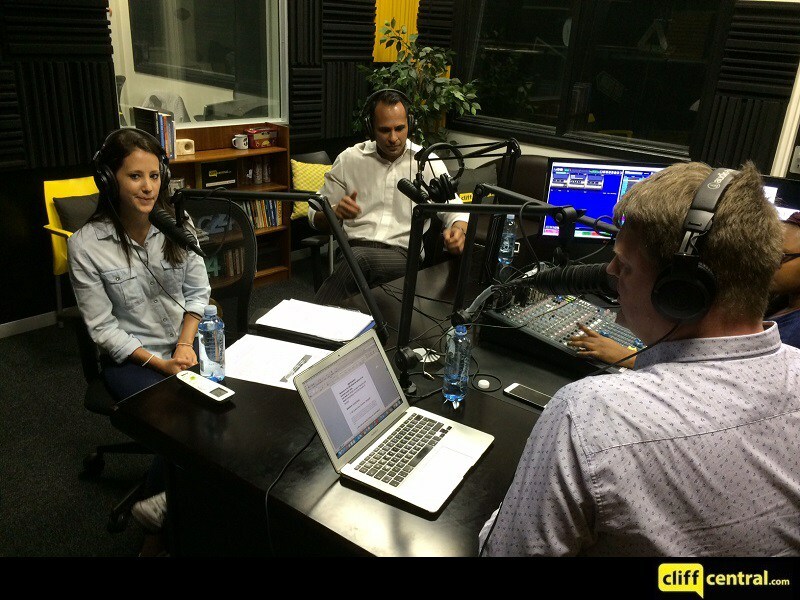 NASTASSIA ARENDSE: What’s next for the business? RICHARD ANGUS: We’re still growing in the South African market, the South African market has huge opportunity, the SME segment is really where things are happening and as businesses grow they need our support as they grow into a large business. So we see a great runway here in the South Africa small and mid-corporate space. You are seeing the impact of, let’s call it, economic factors in the South African context coming to play in our world and the consequence of that is that areas like Durban and Cape Town you would think would be thriving markets, unfortunately that’s not the case, we’re not seeing the kinds of growth rates that you would expect to see in those two regions, compared to Johannesburg for example. Then there are also opportunities internationally that we’re looking at and obviously the South African economy and the skillset here can be exported globally and there’s a huge need for that. We have got business opportunities and clients who are in Africa, so using South Africa as a springboard into Africa is obviously there. Then within the South African context there are also a lot of opportunities, let’s call it, down the skillset space, we’ve identified that there’s a need for skills below the financial executive, where the market is slightly different but we find ourselves constantly being faced with the question of I’m looking for an accountant, I’m looking for a bookkeeper, I’ve got somebody going on maternity leave, I’ve got somebody who’s resigned and we’re constantly facing the pressures in that space. So that’s an opportunity that we are considering. GRANT ROBSON: From our side I think the African expansion side of things is very, very exciting. A lot of international companies are using South Africa as a springboard into Africa and skills are scarce in Africa but working conditions are also tough up there and living conditions and so on. Then again, the financial upside is also there, so that’s exciting for us. This kind of model really came out of the legal profession in Europe and America, so at some point in time once the local market is saturated we’d like to take this model and go internationally into Europe. Probably start off in Europe, not tomorrow but in the near future. NASTASSIA ARENDSE: And just as a reminder, how do people find you? NASTASSIA ARENDSE: We’ll have to leave it there. 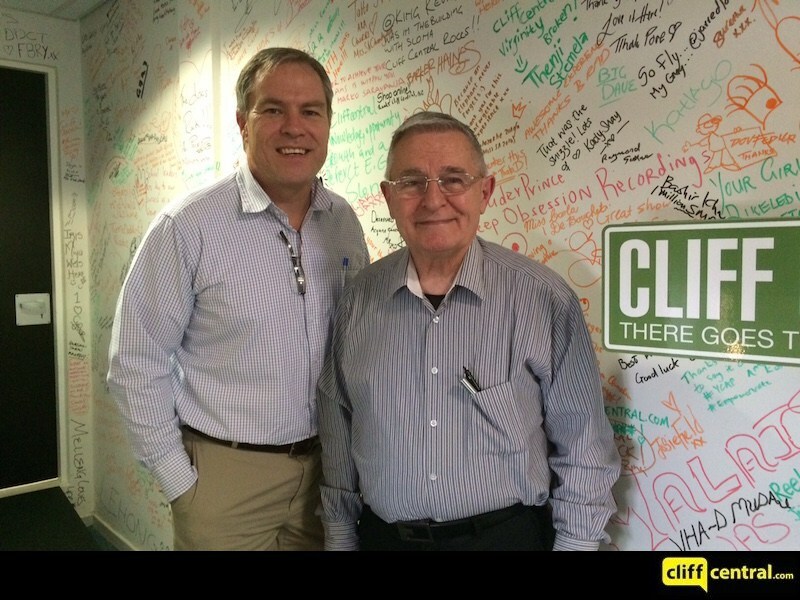 That was Grant Robson, the managing director, and Richard Angus, the CEO, of The Finance Team.